Think, Type, Post. Sgt. Laura Martin talks about how on-line behavior can affect our careers. For more information https://www.army.mil/socialmedia/soldiers/. WELCOME to the Official U.S. Army Reserve social media page and directory. We are are dedicated to sharing the Army Reserve story. Please join us in this mission and let your stories be heard by registering your unit's social media sites. We will process your request for approval and add to the list above. We have consolidated all of our official Army Reserve social media pages across various platforms for you. 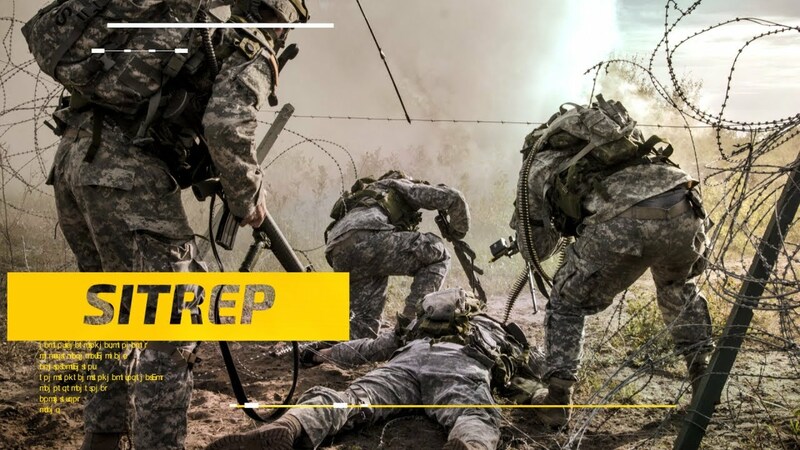 This site is designed to serve as a consolidated registry and resource for all information regarding official Army Reserve presences on public social media sites. All sites located on this page have been reviewed and approved by the U.S. Army Reserve Command (USARC) Public Affairs Office and are subject to all Army policies and guidelines. The registrant is responsible for the maintenance of each social media site and ensuring that it does not compromise operations security. Check out what our Reserve Soldiers, Units and Leaders are doing around the world from our Official Social Media Directory of sites listed here. To START AN OFFICIAL ARMY RESERVE SOCIAL MEDIA PRESENCE, please visit our registration page to learn the required step. Social Media allows people to interact with others with similar interests or backgrounds at a faster more convenient setting, online, underscoring the need to understand potential risks associated. A person’s online activities may inadvertently expose excessive information about their identity, location, relationships, and affiliations, creating an increased risk of identity theft, stalking, or targeted violence. A safer social networking experience is available by accepting some basic assumptions and following a few recommendations. Once something is posted on a social networking site, it can quickly spread. No amount of effort will erase it – the Internet does not forget. You are not anonymous on the Internet. There are people on the Internet who are not who they purport to be and will take advantage of you if afforded the opportunity. Participating in more social networking sites increases your attack surface and overall risk. Everyone on the Internet can see what you post, from where you post it, who your friends and associates are, the comments your friends make and your “witty” replies. An embarrassing comment or image will come back to haunt you…one day…when you least expect it…at the least opportune time. Do not post anything you would be embarrassed to see on the evening news. Do not accept friend/follower requests from anyone you do not know; independently verify identities. Avoid using third-party applications; if needed, do not allow them to access your social networking accounts, friends list or address books. Do not post personally identifiable information. Be cautious about the images you post. What is in them may be more revealing than who is in them. Images posted over time may form a complete mosaic of you and your family. Do not allow others to tag you in images they post. Doing so makes you easier to locate and accurately construct your network of friends, relatives and associates. Do not use check-ins. If check-ins are enabled, disable them. Do not post your specific location. Be cautious when accessing online accounts from public Wi-Fi connections. Someone might have installed software capable of capturing your login credentials and other sensitive information. Do not use the save password, remember me or keep me logged in options from public or shared computers. Limit social networking to personal use. Do not use the same password for all of your accounts. Make sure the passwords for your financial sites are not permutations of your other passwords. Do not use your social networking site to login to other sites. Create another user account on the new site instead. Use strong, unique passwords. Consider passphrases for an additional level of safety. Do not arrange meetings with people you meet online. For more information about computer security and other computer related scams, we encourage readers to the Army Criminal Investigation Command (Army CID) website. It is also highly encouraged that social media managers also complete OPSEC Level II certification. This training is coordinated through your G2/S2 shop or equivalent. OPSEC Level II training: Per AR 530-1 (26 Sept. 14) 4-2 Training Programs (pgs. 13-14) para b. (2) OPSEC coordinators, Web masters, PAOs, FOIA, speech writers, FRSAs, or any other personnel who interact with the public on a regular basis will receive external official presence (EOP) training or attend a Level II OPSEC officers course. ALARACT 289/2013, Army OPSEC Training for External Official Presence Operators states that all commanders will ensure that personnel who publish information on external online presences receive mandatory annual OPSEC training. Click here to find out how the Army is combating online scams.